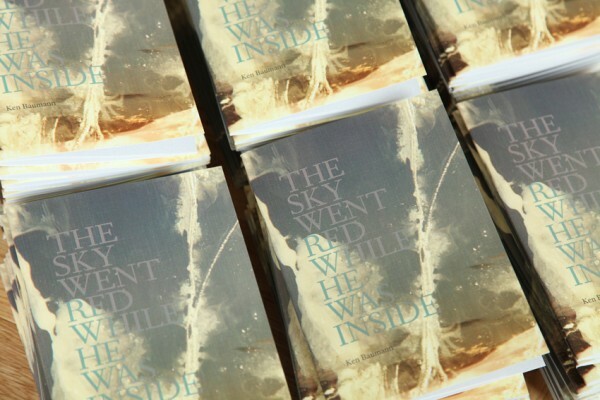 I’m giving away two copies of THE SKY WENT RED WHILE HE WAS INSIDE, a small book produced by Kiddiepunk. The man behind Kiddiepunk and the cover artist/brilliant artist in general is Michael Salerno. This book is made of edited sections from CALL OUT, a novel I wrote. To enter: comment! I’ll randomly pick two people and hunt their e/meat addresses down. Thank you.